Prices of tours vary considerably depending group size, season, type of tour, inclusion of lunch, transport, etc. For a quote, contact us and include relevant details. Please note that these tours do not operate in the Summer (Jul-Sep) as it is too hot. However, you can still contact us to discuss the small possibility of a tour in Summer. Full details about our organised tours are provided below. More interesting tours around Malta will be included in future updates. 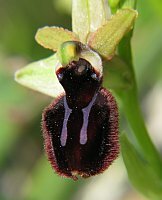 Please contact us if you wish to have a biodiversity or nature tour at a particular site in Malta that is not covered below. With a few friends we did the botanical research tour. It was really a great experience. The guide was really kind, friendly and he knew a lot ! It was really flexible and relaxed, the guide adapted the tour completely on our request and demands. Beautiful views, precise explications, interesting stories......just great :) Thanks. Malta has a Mediterranean sub tropical climate, meaning that it has mild and sometimes rainy winters with hot and very dry summers. The climate is divided quite obviously into just these two seasons; the winter does not get very cold and snow is exceptionally rare. From December to March, temperatures average at around twelve to thirteen degrees centigrade. The summer months can get to over thirty degrees centigrade in July and August. 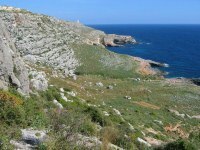 The kinder temperatures around October, November, May and April, when it is also still quite dry, provide in between temperatures which are an ideal setting to visit Malta with the purpose of walking. 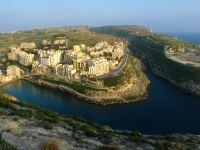 It is possible to see more of Malta on your visit through different walking tours which are available seasonally. It is not generally a good idea to go walking in July and August in Malta due to soaring temperatures which make it difficult and even dangerous. Walking tours generally start around October or November and continue running until May or June in order to avoid the blistering heat of the mid-summer months. Half day or full day tours of Malta will give you an extended insight into the beautiful country, delivering a different perspective on the geography and habitat and allowing you to get close up to some amazing flora and fauna as well as wildlife which is supported by this Mediterranean archipelago. 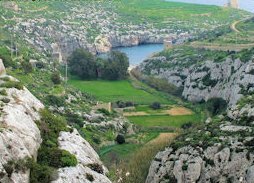 You can walk and explore the north, south west, central/west and south parts of Malta island and also day drip to the paradise island of Gozo for yet more stunning views. 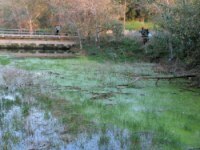 Walking tours can be adapted for children and also for the more knowledgeable, with nature walks specifically for those with botanical interests. A great way to get around the island and see all the different corners of its fantastic outdoors, is by hiring a car. There are plenty of road trips you can take and the more confident and experienced walkers might appreciate this independence. Being able to get as far out into the wilderness as you please for your own ramblings can be a great advantage. You can be free to choose from the beautiful island`s leafy scenes in land, or its stunning coastline. The conveniences of having a hire car on your holiday are also practical ones which speak for themselves, such as being able to pick up and drop off yourself at the airport, savings on transport, not to mention the freedom to adventure as you please. With a car hire from many airports, you can pick the resort or area you would like to stay in Malta, yet not be confined by it when it comes to your need for adventuring and discovering the nature of Gozo and Malta on foot.